If you require a complete bathroom revamp, design ideas, or merely to re-tile or change your bathroom suite, we can provide up to three local contractors to assist with your project. 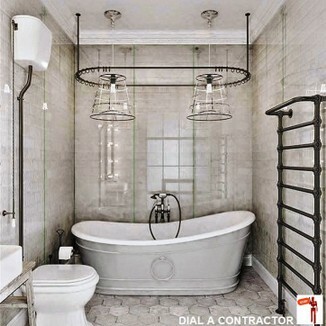 Bathroom renovations can vary considerably in price, and each contractor quoting may bring different design ideas to the table, it is for these reasons, that when completely overhauling your bathroom we recommend you request three local Dial A Contractor contractors to quote. For smaller tasks you should consider obtaining fewer quotes. 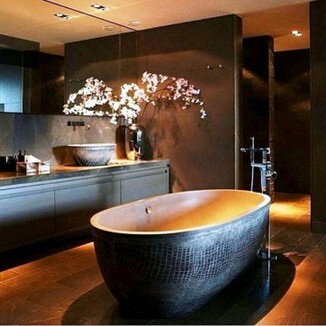 If you are lucky, your bathroom is your ultimate sanctuary. It's a blissful space where you enjoy me-time every day. Everything functions as it should, the lighting is impeccable and you leave feeling as though you've been pampered at a spa. Not everyone is so lucky.Heinous bathroom relics from the seventies still lurk in many homes around the country, depriving their owners of the bathroom bliss they deserve. Breathing some new life into your tired old bathroom can be quite an undertaking. Once you have a budget set, you can set about finding out just how much of an overhaul you will be able to give your bathroom. One of the most common myths about bathroom remodelling is that you need to invest a lot of money to see results. In fact, the biggest impact can be made with some of the smallest changes. The style and state of your sanitary ware is one of the first things people notice about your bathroom. If you stick to the current layout of the bathroom and find items that are the same size you can change the look and feel of your bathroom without spending vast amounts of money.Unless you are a professional plumber yourself, or a very skilled DIY enthusiast, you will need to hire a plumber for this. The cost of replacing/updating sanitary ware can vary from a few hundred Rands to tens of thousands of Rands. You don't have to replace the bathtub (usually the biggest and most expensive item), a new toilet or sink can have a huge impact. 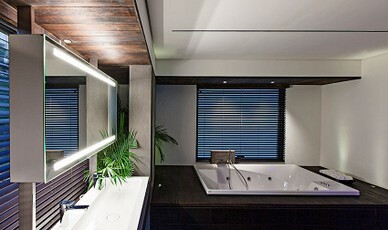 Good lighting is the single simplest way to breathe new life into a dingy bathroom is to fix the lighting. If lighting is done right it can completely transform the space. If you have a bathtub in your bathroom, a dimmer is essential and a cheap simple task. A new lighting fixture will breathe new life (and light) into your bathroom, and is something you can do yourself. There's no need to lie in the bath, looking up at that crusty old fixture and cursing its existence! Many of the world’s most beautiful bathrooms have large windows. Aside from letting in large amounts of natural light and fresh air; they create a portal into the outside world. 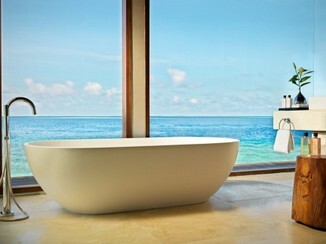 Is there some way to allow more of the outside world into your bathroom? A skylight may be out of your price range but you can still look into ways to bring more natural light and a bit of nature into your space. It could be as simple as adding a gorgeous potted plant. 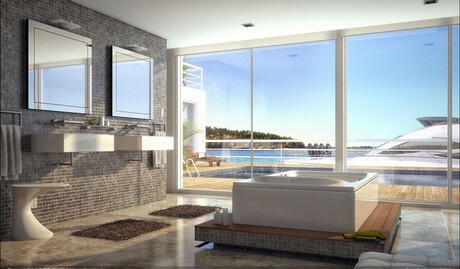 Or how about repositioning a mirror to bounce natural light from the window through the bathroom? Colour psychology is a fascinating field based on the idea that the colour of your surroundings influences your mood and sense of wellbeing. There are plenty of ways to upgrade the colour scheme of a bathroom without ripping out the tiles. Work with what you have as far as possible and consider adding a new dimension by adding or replacing some element with a bold choice.Plain is always the most versatile choice; and you can radically alter the colour scheme with bold accessories. If you have a small bathroom, it is essential to choose a lighter shade to add the illusion of space. 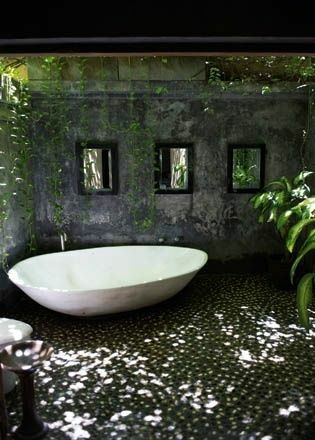 Paint the walls, mix up the accessories or replace some tiles to breathe new life into a tired bathroom. 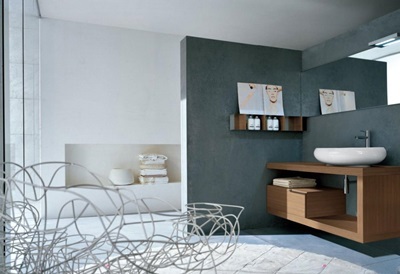 Clutter is one of the quickest ways to spoil a bathroom. Bathroom storage is something that is easy to overlook but a neat, minimalist system for keeping control of bathroom items makes a huge difference. Your budget will probably be the main consideration. If you can afford to add a cabinet/sink combination, this will make a huge difference. You can also use some more crafty ideas to keep your bathroom stuff neatly stashed. Baskets are a popular choice and add a lovely earthy element to the bathroom; but any pretty storage solutions that work in other rooms will work in bathrooms too. If your current bathroom is going to need a major overhaul; there are ways to cut costs without sacrificing on the 'wow' factor. Pick and choose ideas from these ideas to apply to your own bathroom; and experience the beauty of a lovely bathroom space. You deserve a beautiful bathroom! Including tiles & plumbing work.